Dashing inside for “just a few seconds” to grab a cup of joe from your favourite coffeehouse? Not only will it cost you money, you may also find a picture of your license plate on the Internet, thanks to a new mobile app. Michael Duncan McArthur, one of the creators behind Towit, stumbled upon the idea in early December while he looking was through Facebook. “I came across a post from a former colleague of mine who questioned why every time he sees paper shredders on Adelaide Street in the morning, they’re not being towed.” McArthur sketched out the wireframes and sent them off to a friend, who responded with “let’s do it.” Development of the backend began that same afternoon. Towit works in a similar fashion to most photo sharing apps, such as Instagram or VSCO. The user takes a photo of the vehicle, enters the license plate number, and submits the photo, which then appears on the Towit site. McArthur said they will be integrating optical character recognition (OCR) into future versions of the app to parse the licence plate numbers and streamline the process for users. In addition, they’re working on a mechanism to feed the data to the city and Toronto Police services. In order to ensure that the reports being filed are authentic, Towit is also working on developing technology that vets a vehicle’s location in the city to determine whether or not it is in violation of parking by-laws. 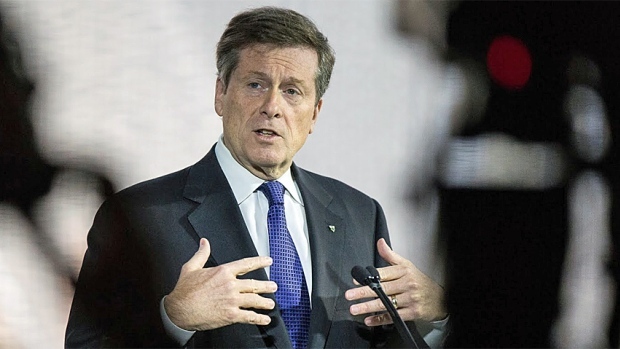 Armed with a prototype of Towit, McArthur and his team met with staffers from the mayor’s office to showcase the Towit and discuss how technology can solve the problem of gridlock (BetaKit reached out to John Tory’s office for comment on how technology can solve municipal issues such as gridlock, but did not hear back by time of publication). The concept of using technology to solve the gridlock problem isn’t a new one. In 2010, Toronto Police Services participated in the opening of the now-removed Jarvis St bike lane, and advised the public to tweet them issues they could pass onto parking enforcement. However, it’s not clear if this has helped reduce gridlock on city roads. Towit is currently available for Android users, with iOS, Windows and BlackBerry versions on the way. 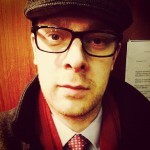 Justin Kozuch is a Toronto-based technology reporter covering startups, mobile and marketing. When not staring into his computer screen, he can be found exploring the Ontario backcountry, reading a book or enjoying a scotch. I’m not knocking Towit – it seems like a good idea. But I think it should be pointed out that illegally parked vehicles is a minor cause of traffic gridlock compared to traffic volume. To really tackle traffic in Toronto and the surrounding region, we really need a public transit system that serves a wide area, and a large volume of riders. I’d be more excited to see technological solutions that would make public transit more efficient and reduce costs. This could help tax payers get behind large transit projects that have an enormous effect on the economy and the quality of life in Toronto. Solid points all around, Dave. I do agree that public transit needs to be improved – in Toronto and throughout the GTA. Not an expert in those areas by any means (I’ll leave that to people like Steve Munro and those who are more well-versed than I), but one of the things that frustrates me about transit in Toronto is the constant debating about what mode to build where, why and how much it will cost. I realize that those are important conversations to have, but it’s been going on long enough. Let’s start building something – and make sure that we’re weaving current technologies into that system. Volume and throughput are of course the major factors when it comes to traffic congestion. Unfortunately, no amount of new personal vehicular infrastructure will ever accommodate our needs in the long run. As I’m sure you are aware, many studies have been completed over the last few years and the result is usually the same: when road capacity is increased, congestion eventually returns. That said, Illegally parked vehicles in the right (wrong?) places do have a cascading impact that many do not realize, which is something we actually have the power to control and/or impact immediately. We hope that one day TowIt may act as a deterrent to not only park illegally, but perhaps even driving into major urban areas where parking is known to be scarce. The eventual result of our app’s use is not only much needed behavioural change. TowIt has the ability to increase revenue for a city through both increased economic throughput as well as increased ticketing/tagging of offenders. The creation of city owned pounds where the city profits have also been discussed. This influx in revenue could be put directly towards increased transit infrastructure, tackling both issues at once.